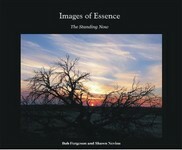 Images of Essence: The Standing Now is a contemplative meditation in words and pictures, conveying an achingly beautiful reminder of our quest for light, love, truth, and being. Its harmony of sight and sound remind us of our true home. Each photo by Nostalgia West photographer Bob Fergeson and accompanying poem by mystic poet Shawn Nevins builds a crescendo of introspective silence ... one at a time, leading us beyond time. Dr. Ron Masa, founder of The University of Yourself, says: "It's like Rumi with a Nikon." See The Mystic Missal site for a video trailer, sample pages and ordering. A beautiful present for yourself, a loved one, a friend. Even a man who is perfectly adjusted to a deranged society can prepare himself, if he so desires, to become adjusted to the Nature of Things, as it manifests itself in the universe at large and in his own mind-body. This preparation must be carried out on two levels simultaneously. On the psycho-physical level, there must be a letting go of the ego's frantic clutch on the mind-body, a breaking of its bad habits of interfering with the otherwise infallible workings of the entelechy [the vital force that directs an organism toward self-fulfillment], of obstructing the flow of life and grace and inspiration. At the same time, on the intellectual level, there must be a constant self-reminder that our all too human likes and dislikes are not absolutes, that yin and yang, negative and positive, are reconciled in the Tao, that "One is the denial of all denials," that "the eye with which we see God (if and when we see him) is the same as the eye with which God sees us....."
A correspondent, Daniel Tigner, told me he had first come across Benoit's works in "Books I Have Loved" by Osho (Rajneesh). This was the first time I had heard that Osho was a Benoit fan. See Sources & Links for information on ordering Benoit's books, including a new translation of The Supreme Doctrine & The Interior Realization by Graham Rooth. | On Faith in the Creative Principle (excerpt) | Stumble It!